Ceviche is one of those dishes that is very easy to make, requires only a few ingredients and looks and tastes elegant enough to serve at a beach-inspired dinner party. No cooking required: the fish is cured in citrus juices in less than a few hours and other seasonings are added for flavor. Here’s a simple, yet delicious, recipe for classic Peruvian ceviche – the supposed birthplace of this fantastic seafood dish. It’s very important to buy the freshest, highest quality fish when making ceviche. Good choices would be halibut, escolar, hamachi, red snapper, mahi mahi, or bass. It should generally have a mild flavor so that it doesn’t overpower the citric acid and should be made and consumed the day you are serving it. This is all that’s required to make this delicacy – 7 ingredients! I love that the fish is cooked in citrus juice – lime is the preferred juice in Peru. Cut fish into 1″ cubes, put in bowl, add chilled water to cover. Rinse and drain after 10 minutes. Combine fish with the rest of the ingredients, folding gently. Cover and refrigerate for 1-4 hours. 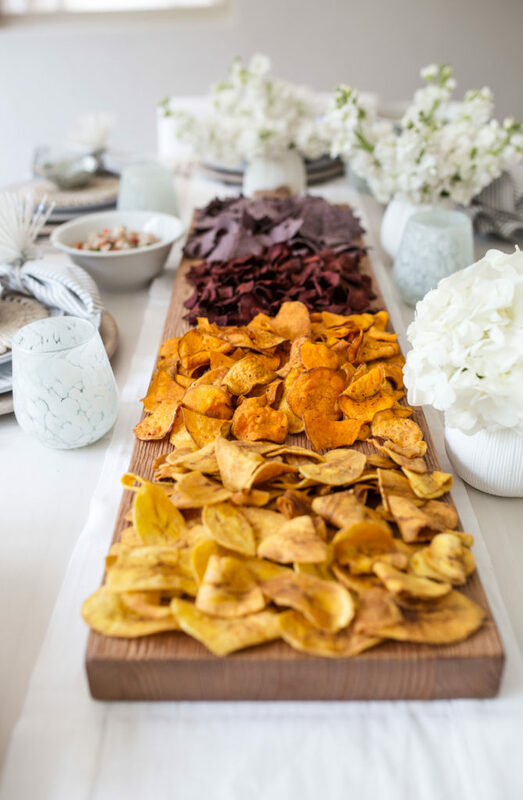 Serve a variety of chips with your ceviche – place them on a wooden board in the center of the table for easy access. 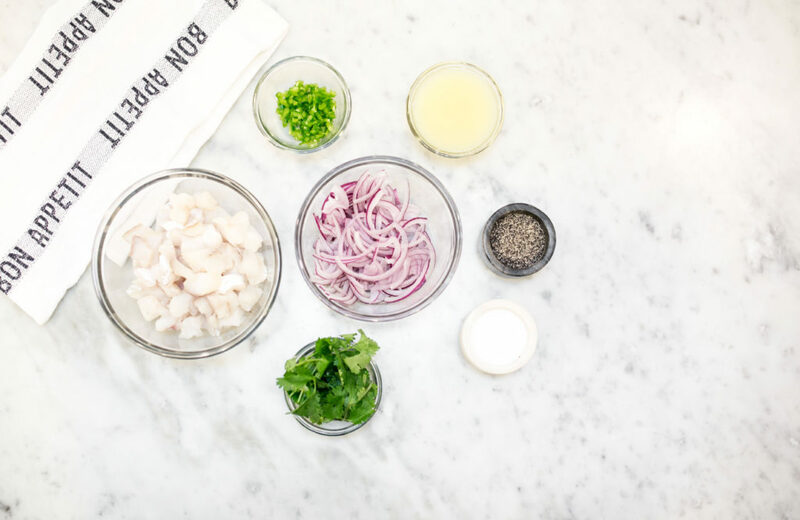 Feel free to add ingredients as you like – I’ve included some here to make your own ceviche recipe. I love those pearl iridescent bowls. I clicked the link but it appears I may have to call the store to order them? They stated they had an online shop but the items were limited. Great idea-gorgeous presentation. You are always an inspiration! BE THE FIRST TO SEE MY LATEST POSTS!